Live SLB Samaris: "This match has shown our professionalism"
Live SLB Benfica wins the Portuguese Cup! Live SLB Ferro: "The most important thing was to go through"
Live SLB Two new faces in the training session! Live SLB Grimaldo: "Well-deserved win"
Live SLB Krovinovic: "I felt reborn when I touched the ball"
Live SLB André Almeida: "Benfica knew how to manage and control the game"
Pay your membership fees and keep being a part of Benfica's family. Join Socio Família solution and save on the membership fees. 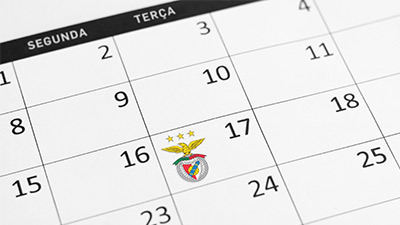 Be a part of Benfica's family and enjoy the advantages we have for you. Benfica beat SC Braga in the last round of the regular season and now will face Elétrico FC (8.º positioned) in the playoff. The reds play again on Sunday (3:00 pm) against Novasemente, to discuss the lead of the National Championship. The Benfica's defender did not forget the 3000 Benfiquistas at the Frankfurt Stadion.